The COMESA CCC has approved (without any commitments) two notified mergers, as it announced on its web site today. They are the first of their kind, with at least one additional notification currently pending. The two deals, including the first-ever notification to the COMESA Competition Commission (“CCC”) of the Philips/Funai Electric transaction, lay the groundwork, in principle, for future COMESA merger reviews. That said, the approval notices (here and here) come without any elaboration of the reasoning or competitive & economic analysis undertaken to clear the mergers, unfortunately. The second deal involved pharmaceutical companies Cipla Limited and Cipla Medpro South Africa (Proprietary) Limited. We will report more later, as we learn additional facts surrounding these transactions and their CCC review procedure. Parties turn a cold shoulder: Is COMESA’s CCC being ignored … ? A pressing question on many COMESA observers’ minds is this: do corporations (and their legal advisers) consciously ignore the CCC‘s jurisdiction and essentially flaunt the supra-national organisation’s merger-notification regime? As reported by us yesterday, there may be an interesting test case coming up in the Uganda telecommunications sector, which may help clarify whether parties to known merger deals are simply ignoring the notification mandate of COMESA. Today, we noticed what appears to have been two recent deals in the poultry sector in Zambia (yet another COMESA member state). As the Zambian newspaper The Times reports, there were two transactions** that have been approved by the Zambian Competition and Consumer Protection Commission (CCPC) Board of Commissioners — seemingly unilaterally and without involvement of COMESA’s CCC. Again, as with the potential Ugandan test case we discussed, the question now becomes: were the conditions to notifiability at the COMESA level met (likely yes), and if so, did the parties intentionally fail to notify the deal to the CCC … ? To date, only one deal (Philips/Funai) is known to have been notified to the CCC, as AfricanAntitrust.com reported here. We would love to hear from a representative of the CCC itself to get their view on the current state of affairs. 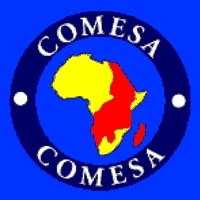 One possible explanation of the apparent lack of COMESA notification is that the transactions pre-dated the January 2013 effective date of the COMESA competition regime, but that seems unlikely at this late stage, given that it’s already May and the CCPC is only now giving its green light to the deals. ** The names of some of the parties are entertaining, no less, as they are Zamchick and Rainbow Chicken. Presumably, the merged entity might adopt Rainbow Zamchick? The South African Competition Tribunal has green-lighted the almost $12bn (R106bn) Nestlé/Pfizer deal, which will combine the largest and 3rd-largest infant-nutrition companies in the South African republic, leaving competitor Aspen in second place. The conditions imposed by the Tribunal echo those accepted by the E.U., the Australian and other authorities, which require the merged entity to license certain of its brands to independent third parties, for up to 10 years post-closing, in order to stimulate and maintain a competitive marketplace. To seasoned antitrust practitioners, certain aspects of the deal ring a bell — although the outcome is diametrically different (except for Mexico, where the transaction has been rejected thus far by the authorities): I speak of the Heinz/Beech-Nut U.S. deal in 2000, where the FTC blocked the deal. In the agency’s view at the time, the only competitive constraint, according to the FTC, was the Gerber company, which would have been the sole effective remaining competitor. For a retroactive analysis on this, see here for one of the voting Commissioner’s point of view. The FTC promptly sued to block the 3-to-2 “Baby Food” deal, as it became known in the antitrust world, and ultimately prevailed both at the court level and, in the end result, with the parties’ abandonment of the merger while an appeal was pending. In conclusion, it appears that the efficiencies defence, creative design of remedies (e.g., licensing), and overall agency outlooks have changed in more than a decade, after all.